Discussion in 'Model X: Driving Dynamics' started by jamtek, Jul 2, 2017. Well standing on the shoulders of giants... @JimVandegriff , @ohmman and others... I've decided to pull the trigger on a 2018 Airstream Bambi Sport 22. I've really enjoyed reading all the Model X/Airstream posts to date, and I so thoroughly enjoy road trips with my Model X that I want to take it to the next level. I intend to pull the Airstream with my Model X 90D with the tow package installed recently by my local SC. The Equal-i-zer seems to be the tow system of choice thus far among Model X towing pioneers. My only issue is I don't like the way the system relies on pure friction of steel on steel to accomplish the anti-sway function. Another issue is it uses a set of many washers (think stack of coins) to accomplish preangle adjustment on the hitch ball and alter weight distribution. This system seems a little "Rube Goldberg" to me, but I'm not an engineer. The fact that others are using this system on the road without apparent issues means a lot however. This really is a whole different animal in terms of hitch systems. It may be overkill for a sub 5000 lb trailer but I like the technology employed. The ProPride main unit consists of two 3/4" thick links that project the pivot point of the trailer forward to near the rear axle of the tow vehicle. By not allowing the trailer to pivot side-to-side on the ball, trailer sway is eliminated. The downside here is the increased tongue weight because of the weight of the apparatus itself and the high cost--nearly three times the cost of the Equal-i-zer. Again, this system is really designed for all trailers including very heavy trailers and may represent extreme overkill. Sooo...help me decide! Any input from experience towers would be appreciated. Obviously safety in towing is my number one concern so I want to make a good decision here. Consideration should be given to the ease of hitching and unhitching, as you will find the need to do so at most charging stops. We currently get lucky with some less-populated Supercharger sites, but with Model 3 coming I doubt that'll last. I have no specific loyalty to my Equal-i-zer hitch, but I can perform both sides of the hitching transaction in less than 5 minutes. This is helped by my installation of an automatic tongue jack and a flip foot. While the automatic jack is cranking, I will be unhooking the safety chains and the 7-pin adapter. Once I've jacked it up enough to relieve the strain on the torsion bars, I can remove those from the A-frame, drop the tongue back down, release the ball, and jack it back up. I have taken to driving to the Supercharger with the torsion bars still connected to my hitch. It looks funny but it saves some time on both sides of the process. Additionally, I strongly suggest replacing the stock receiver on your Model X, or at least reviewing this thread before considering using weight distribution. I just read your post detailing your hypothesis on the root cause of the stock Bosal hitch adapter loosening. Do you think an articulating antisway hitch like the Hensley is a better way to go? Probably not enough data at this point but I wonder. We are also wondering the same thing. Our neighbor is getting a Hensley hitch for his towing in the next month, and he is a proponent, so we will investigate it when we return from our next Airstreaming/X trip which starts up this week (we will be traveling for two months). I personally am looking forward to Ohmman's report on his draw-tite installation. Illijana (my wife) and I both like the equalizer hitch we have. It handles the trailer perfectly and is rock solid in towing (no sway at all). I haven't had experience with the other hitches, so will defer comment and await the experiences of other hitch aficionados. Yes...just looked up the Draw-tite install instructions for the Model X and seems well-engineered and straight forward. I intend to gather as much data as possible on different hitch systems and I intend to share any useful info with the group. Enjoy every minute of your Airstream adventure--looking forward to lots of pics! I believe it's less about the anti sway and more about the rigidity between the vehicles. Most WD hitches will instruct you to remove torsion bars when driving up curbs or on uneven roadways for this reason. I haven't looked deeply into the Hensley Cub yet, but it looks like an inventive setup. Hitching and unhitching look to be relatively quick, though I worry a bit about lining up the stinger when backing up. I've found that the air ride on the X doesn't always keep me at exactly the same level. I once backed into my tongue on the trailer despite having not touched it since I drove away. Somehow the X was higher - either the air suspension/auto leveling function or my approach angle made it so I didn't clear. It was a tap, but I could see it being a little tough with that Cub. Just an update here. I spent some time last week looking at the Hensley Cub and I do think it's a better choice for the Bosal hitch (though, as I'll point out, still not recommended). I think it's better because you can get anti-sway features regardless of the torque placed on the receiver. The friction-based anti-sway bars resist sway proportional to how much load you put on the torsion bars. With the Hensley, you could theoretically adjust it for zero torque on the X (effectively weight carrying) and still get anti-sway. The downside is that the Cub mounts to the tongue and weighs about 150 lbs. So max tongue weight of a trailer is going to be the 500 lb limit by Bosal minus 150 lbs = 350 lbs. That's a pretty low limit, even for light trailers because most published numbers are dry and empty. I can't really say how the Cub relates to the offset limits on the Bosal but it does seem to be closer than the Equal-i-zer to their recommendation of no more than 3/4" rise and 8" horizontal offset. Edit: An additional note. If the unique rehitching style of the Hensley works with the air ride on the X, it would actually be quite quick for Supercharging stops as well. I towed recently a glider trailer with my Model X 90D. De trailer is 12 m long, 1.8 m high, weights 1300 kg, and has a good aerodynamic shape. After driving 1400 km most on highways @ 90 km/h, I can conclude that my range was reduced by 35% (compared to driving @ 110-120 km/h with our trailer). In the universe of MX+22FB hitch configurations, one possibility seems neglected by the TMC community: the plain old weight-bearing ball mount. Has anyone declined weight distribution and lived to tell the tale? I'm willing to be the guinea pig. Thoughts @JimVandegriff @7racer? What's the worst that could happen? The 0.75" max rise does seem a little low. If that doesn't work, I can always aftermarket a Draw-Tite and Hensley Cub. The worst that could happen? Uncontrollable sway resulting in your death and that of others on the roadway. The likelihood of that happening, however, is really what’s to be determined. I think the general guidance is that it’s worth limiting that risk as much as possible, hence the solutions you’ve read to date. I recommend reading towing forums for more wide and expert opinions on the matter of anti-sway vs. weight bearing hitches. The discussion is much more rich there. I’ll say that Tesla appears to be towing their gutted 22FB mobile showroom with a specialty weight bearing hitch. Whether or not they still use the Bosal hasn’t yet been determined. Thanks for the advice, @ohmman. I'm almost ready to write a check to Bay Area Airstream. But I don't know what to say to them about the hitch. There seems to be a perverse tradeoff: safety vs liability. It seems that for safety, one should go with a sway control + weight distribution hitch. On a fixed aftermarket Draw-Tite receiver, because SC+WD on the stock adapter can lead to deformation. But an aftermarket receiver takes us out of manufacturer spec. I don't want to raise FUD, but in the event of an accident involving the trailer – or even just the bumper – might an insurer seize on the aftermarket receiver as a reason to void the policy? In the event of a problem with, say, the bumper ultrasonics, wouldn't Tesla use the receiver as an excuse to void the warranty? Tesla could say: "we spec'ed and tested a removable hitch with a trailer on a ball. You want sway control? We gave you anti-sway software. You want weight distribution? We gave you auto-leveling air suspension. You leave the path, you suffer the consequences." And the insurer would nod along. The safe route is unapproved; the approved route is unsafe. Perverse. But maybe things have changed. Maybe Tesla / Bosal have strengthened the adapter since you reported the problem. Maybe the best thing to do is good-faith one's way through the evolutions, as you have done, by using a ball on the Bosal first, encountering trailer sway and sag, buying a sway-control + weight-distribution hitch, experiencing adapter deformation, and then – only after having exhausted all the options – finally changing to a Draw-Tite. Did Tesla ever get back to you about the deformation? But maybe things have changed. Maybe Tesla / Bosal have strengthened the adapter since you reported the problem. My recent MX delivery was supposed to come with Tow Package, but it was left out. After following up on several fronts I was told that the factory was no longer installing the tow package until new parts became available. They said I was not the only one affected, but all recent deliveries were the same, and my due bill would be fulfilled sometime in the future when new parts were available directly from the factory. They did not say specifically, but wishful thinking is they are redesigning the stock package to address the reported issues, and/or the manufacturer has constrained availability of parts in the meantime to reduce liability. Tesla does not have Model-X parts at the factory. thats insane for an old product. The modelY will never come out at this rate. I'm pretty doubtful that'd be the case. There are aftermarket hitches available for nearly all vehicles that tow, and this doesn't seem to be a liability issue. It's certainly not one that concerns me. They didn't, but reading @Musterion's post makes me wonder if they aren't moving in a new direction due to the feedback. My recent MX delivery was supposed to come with Tow Package, but it was left out. After following up on several fronts I was told that the factory was no longer installing the tow package until new parts became available. Well that's interesting. Maybe @ohmman 's feedback resulted in a X towing package revision. I will follow up on that with my local Service Center in a few months and see if they have a new hitch part number compared to what is installed on my July 2017 Model X. If there is a revision with the towing package I wonder if they will do a swap with MXs already on the road. It would be nice to see them resolve this. 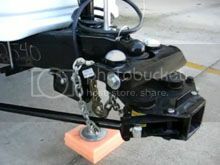 I called my service center today to talk about this and our plan to put in the draw-tite hitch receiver. I'll report back when I get to speak with them. Update: After 4–6 weeks, Tesla finally installed the hitch receiver. It is the standard Bosal. Tomorrow I take the MX in to Bay Area Airstream for installation of the hitch ball and the brake controller, following adelman's instructions. The folks in Service at BAA strongly encouraged the installation of a Draw-Tite. For the sake of science I'm going to go commando and run with the ball only, no WD or sway control. If I never post again, you may assume I died in a ditch sideways under a jacknifed trailer. The folks in Service at BAA strongly encouraged the installation of a Draw-Tite. So are you removing the brand new Bosal hitch, and installing the Draw-Tite? I was also going to make a joke about you not wanting to "go commando" if you think you are going to be in an accident...but that would not be appropriate.